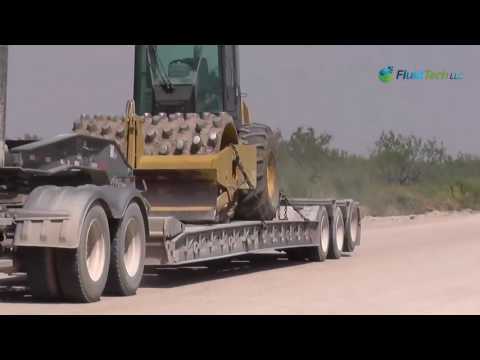 30+ years in business, Fluid Tech provides innovative, easily deployable products and technologies to accelerate environmental cleanup project performance and compliance. Our safe, compliant, and cost-effective products and services can substantially reduce a customer’s life-cycle costs and liabilities. 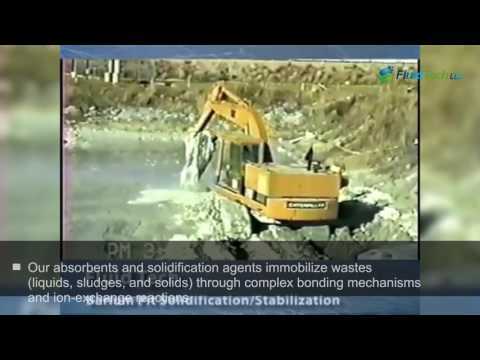 Fluid Tech absorbents and solidification agents have been approved and utilized at commercial and federal waste disposal sites since 1986. These products were developed for the safe, compliant and economical treatment, transportation and disposal of radioactive, hazardous and industrial wastes. 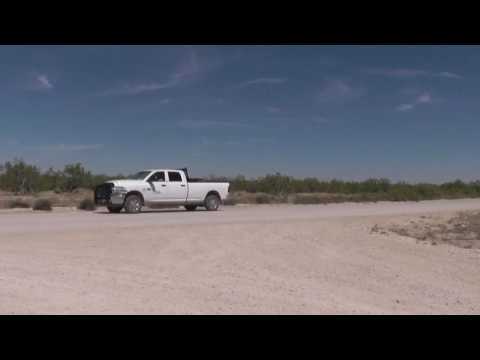 Fluid Tech provides a better dust suppression and erosion control solution than traditional approaches. 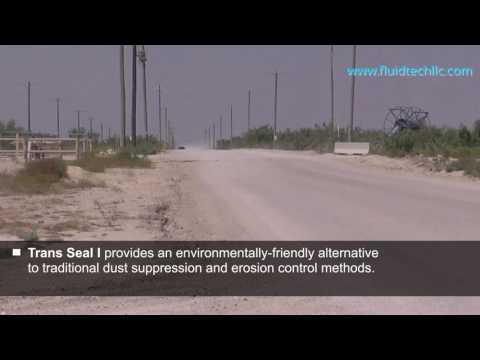 Trans Seal I is a non-toxic, water-soluble, polyvinyl emulsion that is proven effective for the long-term stabilization of fugitive dust emissions and the prevention of surface erosion. 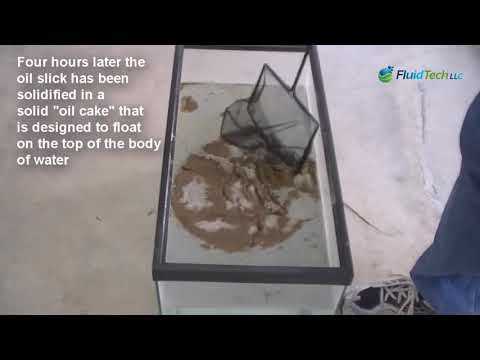 Fluid Tech developed Pristine Sea I for quick response to oil spills associated with offshore platforms, pipelines, terminals, ports, and harbors. Pristine Sea I is an all-natural, non-toxic sorbent specifically designed for response to oil spills occurring on natural bodies of water such as oceans, lakes, wetlands, and marshes. Fluid Tech’s NarcSorb can be used as part of a DEA compliant program to effectively manage controlled substances. NarcSorb irreversibly solidifies most adulterating or denaturing agents to render controlled substances non-retrievable such that they no longer present any potential for abuse. 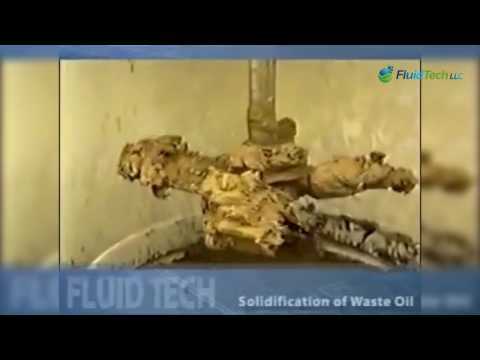 Fluid Tech knows disposing of your waste allows for zero errors. most safe, compliant, and cost-effective manner possible. Pallet (42 x 50 lb. bags) of PETROSET-H.
50 lb. bag of PETROSET-H.
Pallet (40 x 50 lb. bags) of PETROSET II. 50 lb. bag of PETROSET-II. Pallet (42 x 50 lb. bags) of PETROSET. 50 lb. bag of PETROSET. Pallet (42 x 50 lb. bags) of AQUASET II-H.
50 lb. bag of AQUASET II-H.
Pallet (42 x 50 lb. bags) of AQUASET II-GH. Pallet (42 x 45 lb. bags) of AQUASET II-G.
Pallet (42 x 50 lb. bags) of AQUASET II. Pallet (42 x 50 lb. bags) of AQUASET. 50 lb. bag of AQUASET. 50 lb. bag of AQUASET II. 45 lb. bag of AQUASET II-G.
50 lb. bag of AQUASET II-GH.